Civic politics is supposed to be a step removed from provincial parties, but the Ward 12 byelection is revealing otherwise. 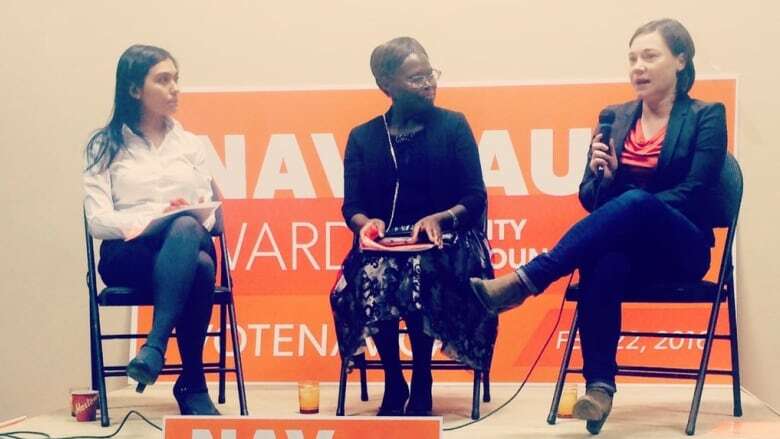 The issue came to a head last week when Environment Minister Shannon Phillips appeared on stage at a fundraiser for Ward 12 candidate Nav Kaur, sparking the disapproval of several city councillors including Coun. Michael Oshry. "This seems to be not appropriate," Oshry said. "This seems to be quite over the top." The event was billed as a panel discussion about women in politics, but the cost of admission was $100 donation to Kaur's campaign. When asked about the appropriateness of a provincial cabinet minister fundraising for a civic candidate, Phillips defended her involvement. "I think it's appropriate for me to support my friends and have more women in politics," she said. Oshry admitted there provincial and civic politics have always overlapped. When he ran for his seat on council in 2013, he was endorsed by then MLA Stephen Khan who attended his campaign launch. He said Kaur's fundraiser was different. "At some point it becomes more than a person helping someone as a friend, it appears to be a concerted effort on behalf of the governing party to help out a particular municipal candidate." In fact, while Kaur's fundraiser garnered lots of attention, many candidates and current councillors have strong political party affiliations. Ward 12 candidate Arundeep Singh Sandhu has strong connections to the provincial PC party, having worked as a nomination committee member and returning officer for the party last year. Another candidate, Danisha Bhaloo, has received endorsements from former Tory health minister Stephen Mandel and former human services minister Heather Klimchuk. On the current council, Coun. Michael Walters ran for the Alberta Party in 2012. When he was elected to council a year later, the Alberta Party issued a press release claiming the party was well represented in municipalities like Edmonton that elected councillors with strong party ties. The press release also claimed party organizers were behind many municipal campaigns. And Tony Caterina was called a "star candidate" by former premier Jim Prentice when we ran for the PCs in the last election. After losing, he returned to his seat on council. Returning office Laura Kennedy and the office of the ethics commissioner agree none of the candidates, or those endorsing them, have broken any rules. Advanced polls for the Ward 12 byelection opened on Monday. A new councillor will be elected in on Feb. 22.